Today’s Member Spotlight focuses on Bank of Agriculture and Commerce from Stockton, Calif. In the following interview, CEO Bill Trezza explains what is unique about this local community bank. What is unique about your community bank? I’m a hands-on CEO. As California’s longest-serving community bank CEO—31 years—I maintain a traditional leadership style when it comes to meeting with prospective customers. I regularly attend these meetings along with our relationship managers, and I’m happy to do so. I believe it sends a great message to the prospective client. If they have a problem or simply need advice, they know someone at the bank that can help. I also enjoy interacting with customers outside of the bank at local events and community activities. This gives me better insight of their special challenges and needs. How does your community bank uniquely serve your local community? For more than 20 years we’ve hosted a comprehensive annual economic forecast of our region. We invite bank customers and other targeted, local citizens. Often our customers bring their employees, family or friends. This year financial expert John Mitchell, a former chief economist for U.S. Bank, helped us draw more than 500 people and considerable local media coverage. In many respects, customers, the media and community leaders rely on the bank’s annual forecast to receive localized and factual economic information. What is the quirkiest, strangest or funniest thing you’ve seen at your community bank? In 2004 “Dumbo the Clown” (literally) tried to rob one of our East Contra Costa County branches. A bank employee spotted a suspicious-looking man leave a bike on the side of the bank. The police were called, and authorities took the bike. Several hours later that day, the same employee was working at the teller window. She noticed another odd-looking character wearing a blue plaid jacket, large curly black wig, yellow baseball cap, large round eyeglasses and rubber gloves. The safety doors were immediately locked. Once the perpetrator couldn’t enter the building, he fled on foot towards the side of the branch — the same direction where the bike was left earlier that morning. Police believed the bike was probably the suspect’s get-away vehicle. What is your proudest moment from your time at your community bank? My most gratifying moment with the bank took place June 9, 1999, when I accepted—on behalf of our bank—an Arthur Andersen Capitol Region Best Practices Award for “Exceeding Customer Expectations.” A beautiful reception to thank bank employees followed the formal part of the presentation. It truly was a special and memorable evening. 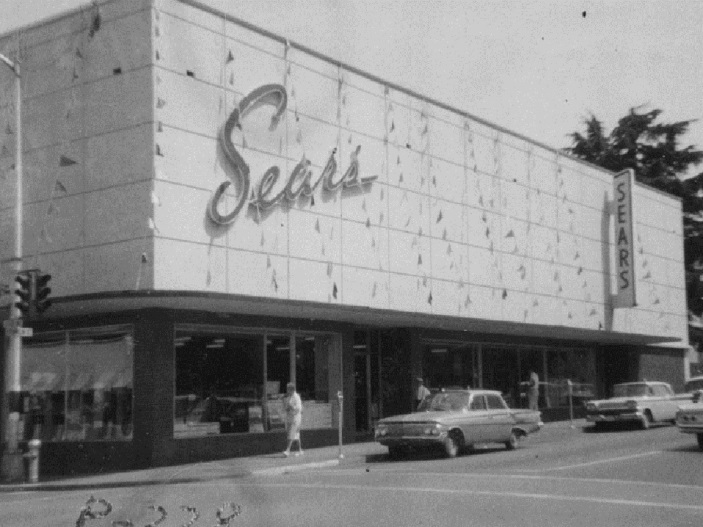 We later learned it was a customer from our newest Modesto branch, which opened in 1997, who nominated the bank. What’s your favorite project you’ve ever worked on at your community bank? Established an off-balance-sheet investment sweep account, which allowed our corporate customers to keep all of their balances with us and achieve a market return on excess liquidity. Implementing these strategies broadened our appeal to many business customers who were receiving these services from large chain banks. Do you celebrate Community Banking Month? Yes. 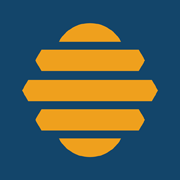 Typically we start generating Community Banking Month awareness internally through an article I publish in our employee newsletter, The BAC Buzz. I cite specific examples to illustrate the distinct and valuable role community bank’s play in building stronger and better communities. We have about 115 employees that can now share this knowledge with their family, friends and other associates so the message ultimately becomes multiplied just from this internal effort. In addition, this year—with the help of our marketing communications department—I developed an op-ed describing the community banking industry’s positive impacts to local economies. The op-ed was distributed to each major news publication in the markets we operate. To date, three news entities have agreed to publish the guest editorial. 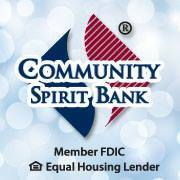 Today’s Member Spotlight focuses on Community Spirit Bank in Red Bay, Ala. In the following interview, Marketing Director Emily Mays explains what is unique about this local community bank. We are our community’s oldest business, opening our doors on June 11, 1908. Community Spirit Bank was originally housed in the southwest corner of the Red Bay Hotel. We were located directly across from the barber shop, which was also located in the entrance of the hotel. Our original vault doors remain on display in the local museum. Our first president of the bank, A.J. Hackett, was one of the original investors and the surveyor who platted the Town of Red Bay. Our history is rich, and our roots run deep in our ever-changing communities. We are proud to continue to serve going into our 107th year! It’s service first, bottom line. We take pride in not just saying we offer amazing service, but showing it in every way possible. Our chairman of the board could just as likely be seen in his corner office or on his tractor scraping snow from the parking lot. When shorthanded on the frontline, our executive vice president/COO steps out of her office and runs a teller drawer if needed. We have a simple philosophy: whatever it takes to get the job done, and do it well. Service to our community is precedent. We serve our families, churches, and civic responsibilities with the same pride we do in banking. Making where we live, work and play a better place! What is the funniest thing you’ve seen at your community bank? One of the funniest moments is our very own Harlem Shake video we filmed in 2013. This video definitely brought out the wild side of some of our senior management. What is priceless about this video is our chairman’s role in “not having time for such foolishness.” This was certainly a fun way of showing a different side of our bankers, and for our community members that know our chairman, his depiction of no time for such nonsense was spot on! One of the bank’s proudest moments? Well worth the effort, “The Way We Worked” tour explored how work has become a central element in American culture, following the history of the workforce and it’s evolution over the past 150 years. It brought in almost 6,000 visitors from all over the U.S., as well as four other countries, to our little town. This unique mission was an honor, allowing us to engage, educate and inspire far beyond just our local communities. We engage in many local projects, but our favorite would have to be our ever-growing financial literacy program, Community Spirit Bank Money$mart. We started our program in 2013, partnering with the EverFi platform in seven area high schools. Our first year had just shy of 600 students receiving their financial education at an 86 percent certification rate. This school year we are working with nine area schools, have over 600 students registered with 4,045 financial education modules completed to date! Through this program students are taught and assessed in multiple topics of financial education, allowing them to become more informed, responsible citizens. Our hope is to provide our future generations the knowledge of common core finance decisions and skills to manage their finances effectively for a lifetime. April is definitely the month to let that community banking light shine even brighter! We love our communities—they are truly like family. Each year we try to have a variety of activities for our customers and employees. Some of our favorites include spreading the community banking word on social media, giving away local gift certificates and hosting a selfie contest for employees. We also always select one extra special day for Customer Appreciation Day. We give away promotional items, fresh baked cookies, popcorn, cash prizes, CSB T-shirts and more! It’s a really fun day for our customers and employees alike. We celebrated all day this year on April 24! We feel community banking is a calling, our president and CEO challenged all of us at the beginning of the year with this: “At the end of the day, ask yourself if what you are doing at any point is in the BEST interest of our customers. If it is, then the bank will ultimately benefit as well. Are your actions, words and deeds for you, or for the best interest of our customer? Every action we make should be for betterment of our customers! What is true, what is noble, what is right, is what we should do every day!” And we believe that is truly what makes a community banking different! Community Banking Month Spotlight: Marine Bank & Trust Today’s Member Spotlight focuses on Marine Bank & Trust from Vero Beach, Fla. In the following interview, CEO Bill Penney explains what is unique about this local community bank. What is unique about your community bank? Our entire staff is rooted in our community. Their passions support the needs and success of our community through their time, efforts, financial commitment, talents, vision and promise. The bank has provided more than $200,000 to more than 125 local non-profit organizations in the market over the last five years. How does your community bank uniquely serve your local community? We sponsor many non- profits and charities, however, we most recently have directed our efforts toward financial education. We are committed to helping our community grow and prosper and we strongly believe that working with our local schools to educate children on the basics is critical to their long-term financial well-being. In the past six months alone, the bank has provided volunteer manpower and/or corporate underwriting to the Emerson Center, Indian River County Cultural Council, Quail Valley Charities, Vero Beach Opera, Riverside Theater, the Association of Fundraising Professionals, Indian River County Chamber of Commerce, United Way, ORCA, Alzheimer’s and Parkinson Association of IRC, Oceanside Business Association, Exchange Club, Environmental Learning Center and Youth Guidance of IRC. We also host monthly Chariman’s Luncheons to support small business networking. What is the quirkiest, strangest or funniest thing you’ve seen at your community bank? Our employees found it funny, as CEO, I attended a community event wearing a long fake beard and walked down the main thoroughfare with Mariner Pete, our mascot. What is your proudest moment from your time at your community bank? Over the past several years, many Florida banks suffered from the financial crisis. We were able to overcome the financial environment and have gained market share, kept our staff, and grew the bank. We help families achieve the American dream and, in 2014, our mortgage lending team placed more than 139 families in new homes. After our area was devastated by back-to-back hurricanes in 2004, Marine Bank was one of the first banks to reopen and provide banking services to our customers. With limited telephone capability, we personally visited our merchant customers to let them know that we were open for business. They were so pleased to see us. We provided a little bit of normalcy in a very abnormal world. Additionally this allowed them to get their cash out of their business and safely deposited into the bank. What is your favorite project you’ve ever worked on at your community bank? It’s difficult to name just one; however, some of the favorites we have supported are the Treasure Night Trunk Show, the Taste of Vero, Dancing with the Stars, the Christmas Parades and the Hibiscus festival shopping cart parade. We were actively involved in the building of a Junior Exchange Club (Excel Club) that assists high school students develop leadership skills. State Bank of Cross Plains from Cross Plains, Wis.
Today’s Member Spotlight focuses on State Bank of Cross Plains in Cross Plains, Wis. In the following interview, Megan Crowson explains what is unique about this local community bank. Every year, The State Bank of Cross Plains tries to come up with unique ideas to celebrate Community Banking Month. We have held online community contests, Pinterest contests and Local Hero contests. We are bold enough to try anything to make a statement that we are THE community Bank in Dane County! We donate both employee time and monetary funds to organizations big and small. We even host a bake sale and bratwurst sale, where employees bake homemade goods and all proceeds go to a local charity. Our bankers are up for anything. Our superhero ad campaign stretched the limit to feature our business lenders. As you can see, these heroes did not look like your typical banker. The enthusiasm our staff has shown for our newest campaign—our Kindness Crusade. Throughout Community Banking Month, each of our banking offices will do one to three small acts of kindness each week and one or two larger acts for the month. But it doesn’t stop there! We also are challenging all employees and our customers to do acts of kindness throughout the month to people they know and love—or even those they work with! Our ultimate goal is to get into our communities and incite positive change. Without our employees, none of this would be possible. 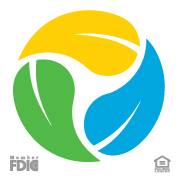 In recognition of Earth Day, ICBA is spotlighting First Green Bank in Mount Dora, Fla. The community bank was founded in 2009 with a mission to do the right thing for the environment as well as its customers, communities and shareholders. According to First Green Bank, it offers discounted interest rates for LEED-certified commercial and residential projects, and its First Green Foundation nonprofit provides assistance for installing solar panels. The community bank’s buildings are built or converted for energy efficiency, it offers charging stations at most branches for electric and hybrid vehicles, and approximately 90 percent of customers receive paperless statements. This week, First Green Bank is celebrating Earth Day with a Facebook trivia contest and giveaway. Chairman and CEO Ken LaRoe discussed the ICBA member’s mission and performance in a Forbes.com interview earlier this year. 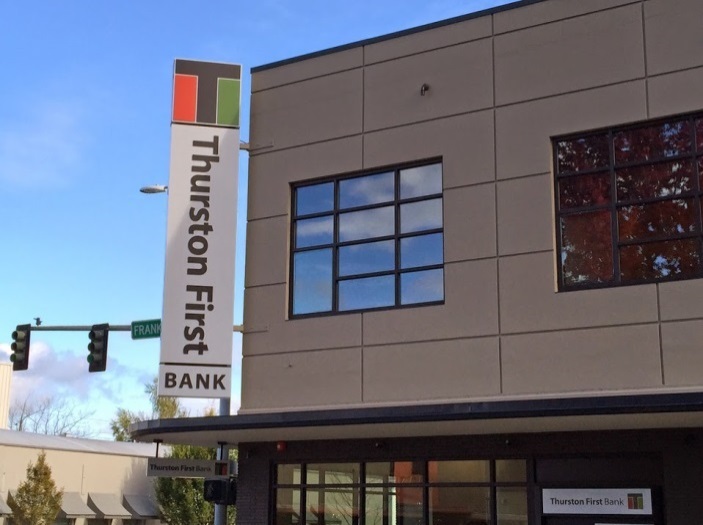 Today’s Member Spotlight focuses on Thurston First Bank from Olympia, Wash. In the following interview, Communications and Branding staffer Sokha Meas Colbo explains what is unique about this local community bank. One thing that stands out to those who are looking for an alternative to their current bank is that we offer mobile branch banking. We have two mobile branch managers who spend their day driving to and from our client’s businesses to pick up deposits and meet their banking needs. This allows our small business owners to do what they do best, uninterrupted, without the hassle and liability of leaving their locations to drive to the bank. On the lending side, we partner with a number of government and industry specialists and think “outside of the box” to come up with custom lending solutions to fit our clients’ needs. We offer the most current technology solutions on mobile and online banking platforms that are highly competitive with any services offered by national financial institutions. We utilize the latest banking technology—we just don’t use it to answer our phones. Aside from providing unparalleled personal service and innovative banking solutions, we are community revitalization activists and we are passionate about our role as a community bank and supporting local projects that will improve the economic vitality of our downtown core. We moved the entire bank to Downtown Olympia by financing and repurposing a former department store into a mixed-use building with market-rate housing and a locally owned brewpub. In addition, President and CEO Jim Haley made a public announcement pledging $10 million in loans to improve our Community Renewal Area, one of Olympia’s most significant projects in 2015. On a scheduled cash shipment day, the assigned armored car arrived and picked up our shipment—business as usual. But as soon as the armored car was ready to back out, they discovered that they did not have a reverse gear! So all of the men in the building (which included senior management and one client), went out and pushed the loaded armored truck out of the parking stall so that they could be on their way. Hey—we may be bankers, but that’s not all we do! Our staff of 15 employees teamed up with local businesses—Ken Schoenfeld Furniture, KGY Radio, Trailer Services Co., and the Salvation Army—to collect items for The Great Coastal Gale of 2007 flood victims in Grays Harbor and Pacific counties. We filled a 51-foot trailer with 40,000 pounds of emergency supplies, which included beds, water, food, cleaning supplies, clothes as well as $40,000 in cash donations. What is your favorite project you’ve ever worked on at your community bank? The Hands On Children’s Museum leadership team had a vision to not only relocate their existing storefront facility, but to expand it into something amazing that would feed the imaginations and minds of our youth and drive revenue into our capital city. Their vision called for a unique funding model that would require a private-public partnership. When all the other banks in town failed to come up with a lending solution, the Hands On Children’s Museum came to Thurston First Bank. We put our “outside-of-the-box” thinking to work and created a financing solution that allowed them to successfully launch the largest museum in the state of Washington. It has since grown to be a major early education resource and tourist attraction for the entire community, serving more than 300,000 visitors annually! We are passionate about banking, and we love seeing our clients passionate about a dream. 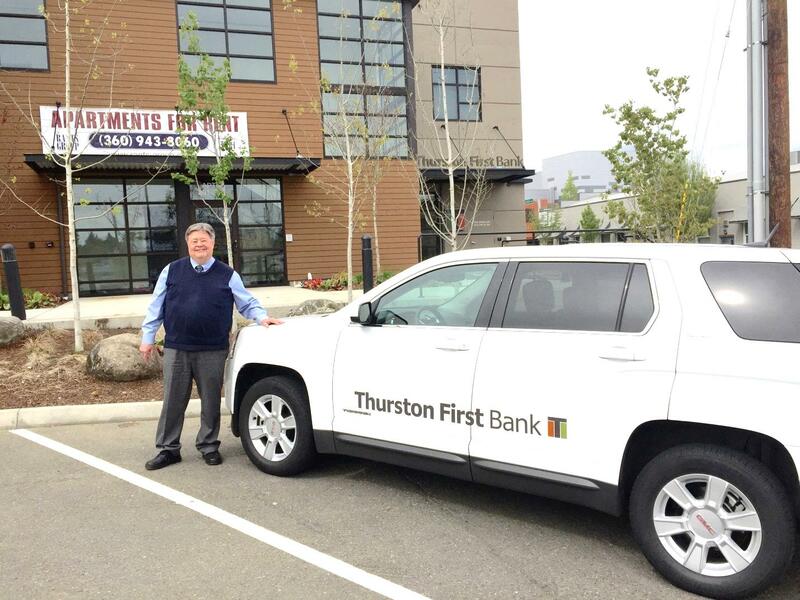 At Thurston First Bank, we don’t get in the way of the dream; we find a way to make it happen. Today’s Member Spotlight focuses on Provident Bank from Iselin, New Jersey. In the following interview, Digital Media Coordinator Christine Hamilton explains what is unique about this local community bank. Provident Bank has been around for 176 years! We are the oldest bank in New Jersey and have an amazing history of strength, stability and commitment. How does your community bank serve your local community? Provident Bank is committed to supporting the communities it serves. The bank encourages all employees to partner with community and non-profit organizations for charitable activities and events throughout the year. In 2014, Provident made monetary donations to more than 400 community organizations and more than 500 employees donated their time to 32 different projects. The Provident Bank Foundation has awarded more than $19 million in grants and financial support to local nonprofits since it was founded in 2003. 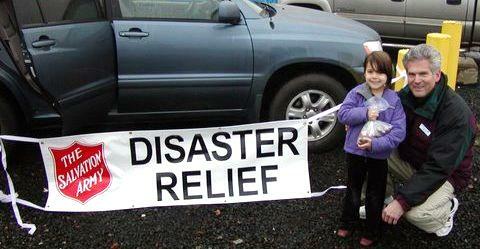 We participate in a variety of charitable events. We recently had 10 teams of five employees each at the Big Brothers Big Sisters Annual Bowl for Kids Sake, and one of our employees dressed up as a bumblebee (a nod to our “beehive” logo)! Everyone was happy to see the bee there, and the kids loved having a mascot around. My favorite project is actually something I am currently working on. We are in the process of redesigning our website, and I am an integral part of the design process and success of the project. As we are relatively new members to ICBA, we look forward to celebrating Community Banking Month this year! We are also big supporters of the ICBA Go Local Initiative.